This area was home to South Africa's first inhabitants, the Khoi and Mfengu people, centuries ago. Ironically, it was only in 2002 that the remains of Sarah Bartmann, a Khoi-San woman, were laid to rest upon a hill outside the town. She finally returned to her homeland in death after spending a tragic and lonely life as an object of display in Europe during the 18th/19th centuries. This was one of the biggest events in the history of Hankey and 1000's of people attended. Also in attendance were President Mbeki and a host of other dignitaries. Hankey was established in 1826 and is the Gamtoos Valley's oldest town. It was named after the Rev. William Alers Hankey, an ex-banker and the secretary of the London Missionary Society (LMS). He was born in Aberdeen, Scotland. The purpose of the establishment of the village was to grow mielies and corn for the LMS main station at Bethelsdorp and also to carry out evangelistic work. The first property was "Wagondrift" owned by the Damant Bros. And although the town was planned for 250 families it started with 25 families. The first inhabitants consisted of a large number of Khoi, a few Mfengos, a few farmers and mixed "Gamtouer" (1700) descendants. Dr John Philip was superintendent. Some of the residents were Windvogel, Diederich, Abraham, Stuurman, Dragoonder, Armoed, Scheepers, Mahtjies, Gerts, Matroos, Konstabel and Kettledas. The first white farmers were Messrs. Wait, Salmon Ferreira, Stefanus Ferreira and the Damant Bros. The first irrigation scheme on the Klein Rivier was started by James Wait in 1827 and completed in 1830. It extended for 3.5 miles and he was awarded 50 cattle and the use of 50 workers. "......the course swung into action sending streams of water down its winding length ....."
People came from far and wide to view the spectacle and Dr Philip later declared it the greatest work of its kind ever undertaken in the Colony. 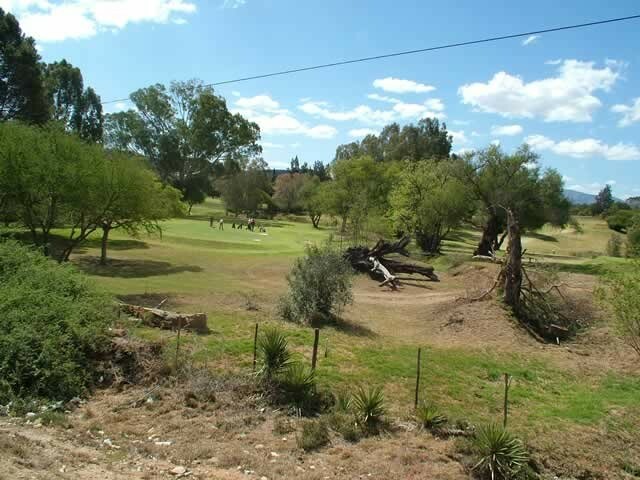 Part of this irrigation scheme can still be seen today and forms part of the Hankey Golf Course. The second irrigation scheme on the Gamtoos River, a National Monument in Hankey today, was carried out by William Enowy Philip, the son of the Superintendent of the LMS, Dr John Philip. His inspiration was the window in the hill between Backhousehoek and Vensterhoek and was dug using pick and shovel and wheelbarrows. The length of the tunnel is 228 meters and the speed of construction was very slow - about 1 to 2 feet a day. It was started in April 1843 and completed in August 1844 - 15 months later. It was in use from April 1845 to 1970 - a period of 125 years. 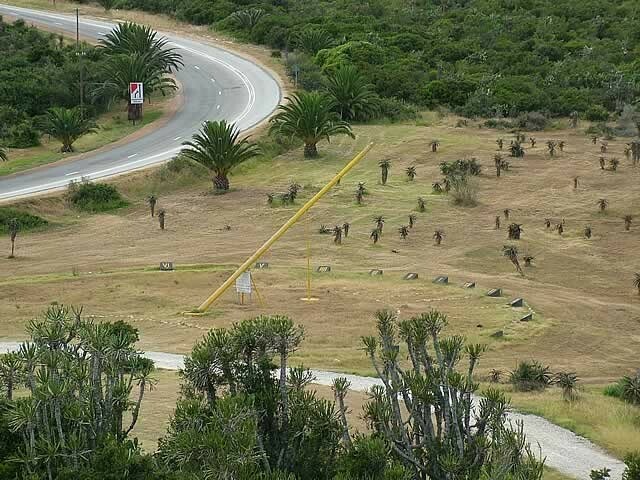 Note: This was the first ever tunnel scheme in South Africa. A tragedy: The builder of the tunnel, William Enowy Philip, drowned on 1 June 1845 in the Gamtoos River where the present low water bridge to Milton stands and not as is usually believed, on the opening day of the tunnel. He and his niece, also a Philip drowned together when their small boat overturned at the Milton drift. What else is of interest in Hankey? The remains of the Milton Water Mill from 1858. Destroyed in the 1932 floods and not rebuilt. Gunpowder Magazine Ruins. Near "Vergaderings Kop", later 19th century. About six sq. metres in area and very little to be seen now. The Philp Graves: Behind the old "Philip Manse" beside the railway line and maintained by the Congregational Church. The Philip Manse: Bottom corner of Main Street. It is totally altered and is unrecognisable. What had important visitors once said about Hankey? David Livingstone in 1841. After a visit to Kuruman (530 miles)" .... He was not disappointed with what he saw..." My expectations have been far exceeded, everything I witnessed surpassed my hopes." Livingstone was truly impressed, he found the Hankey people superior to some of the local farmers. James Backhouse (Quaker): played a large part in the development of different trades and skills among the inhabitants and after whom Backhousehoek (Bakkieshoek) is named. .....nowhere in the country was there such an industry or public spirit as at Hankey Institution....."
Spiritually? Hankey's LMS station had its great crises after founding, but also a few revivals of which 1931 was the most important. Recorded floods - 1832, 1847, 1861, 1900, 1905, 1916, 1932, 1944, 1961, 1971, 1983, 1996. Gamtoos River was the border for Swellendam district in 1770. It is still the administrative town of the Gamtoos Valley. It has modern waterworks, residential areas as well as many church denominations, primary and high schools, modern businesses, a well-known golf course, picnic places, hiking trails, etc. 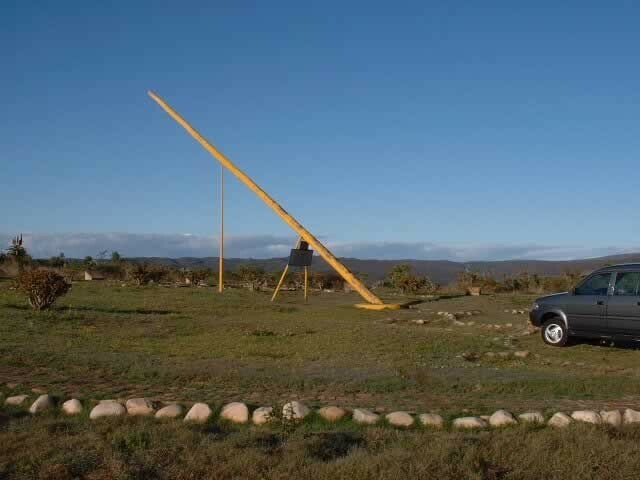 Sundial - The largest in South Africa. It is 34.6m in diameter. 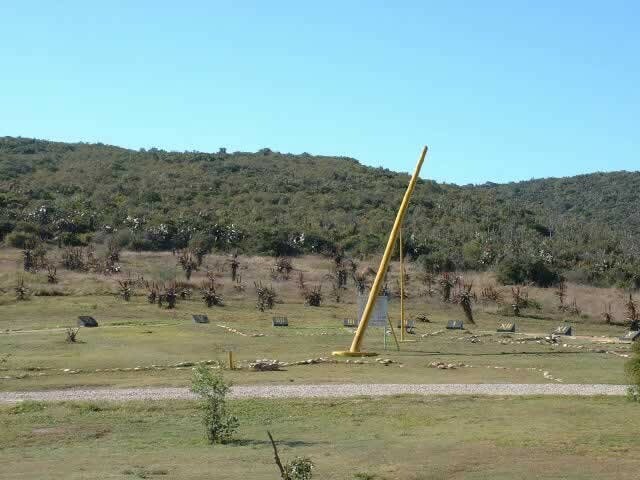 The gnomon is 18m high and weighs one ton. Its is Hankey's 160-years Founders' monument. 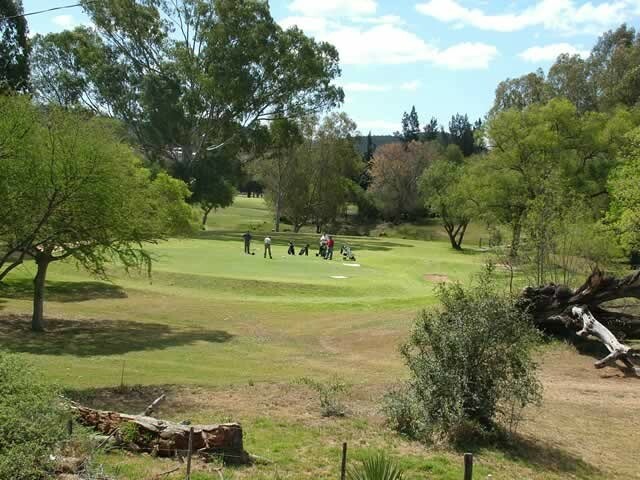 Golfers will also be keen to putt on the well-kept greens of the 9-hole Hankey Golf Course.